Whenever the Treasury Secretary sanctions another trip into the high mountains, I think ‘Giro d’Italia’. To be more precise: when I mention Italy, I think of the Dolomites in the northeast, nearly equally shared between the provinces of Belluno, South Tyrol and Trentino. Just looking at the pictures and profiles of the climbs there, does make my heart beat faster. Obviously, I do not mind wandering off in the Ortler Alps to the west of the Dolomites, if only for the Stelvio, Gavia and a few equally beautiful passes. But, as much as I like the area around Bormio, it pales in comparison to that of the Sella group, which may be considered the heart of the Dolomites. 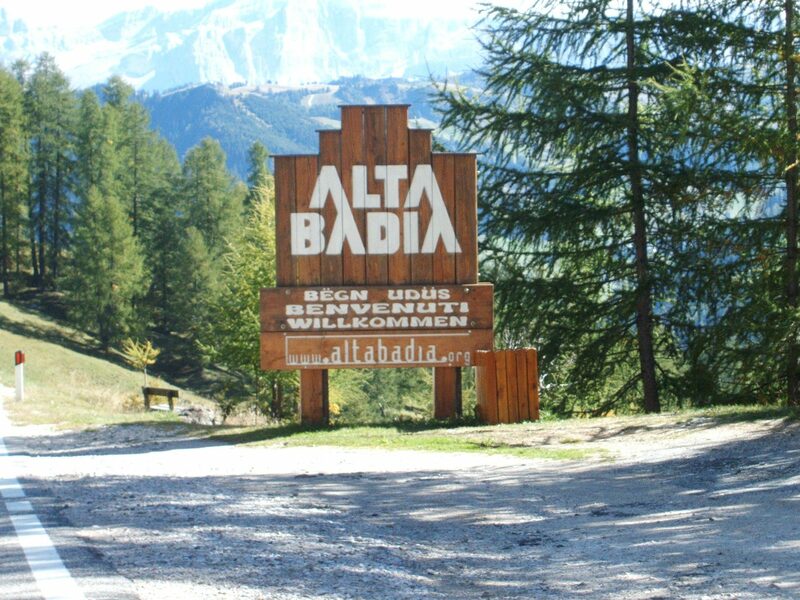 My most favorite spot in this cycling heaven, is Corvara in Badia (or Kurfar) at the bottom of the climbs up the Campolongo* and Gardena, the Valparola being just around the corner. The views are overwhelming – the Sassongher towering over it – but if you want a bit more activity, you should probably go to the other end of the Gardena, to Selva di Val Gardena or Sante Cristina. Or, alternatively, to the east, to Cortina d’Ampezzo at the bottom of the climbs up the Giau and Falzarego. *At least the more commonly known final 6 kilometers of it: the full Campolongo starts in Pederoa, 14 kilometers north of Corvara. In June 2015 we went back to Italy for some more. Again divided into two parts: one week in Corvara and one in Bormio (Valdisotto). It was concluded with a smashing Swiss stage on the way back home. Some old friends like the Stelvio and Giau were revisited and new friends like the Würzjoch were found – sadly, we were denied the world renounced view on (top of) the Tre Cime di Lavaredo because of the clouds/fog. Summary of this trip here. In July of 2011 I had my first “Giro d’Italia”. It consisted of two parts, one based in San Pietro (near Selva di Val Gardena) and the second part based in Valdidentro (Bormio). The most difficult climb of that Giro was the Monte Zoncolan. Difficult ‘as is’, this ‘gateway to hell’ almost got the better of me. However, it made climbing the Mortirolo seem like a piece of cake. 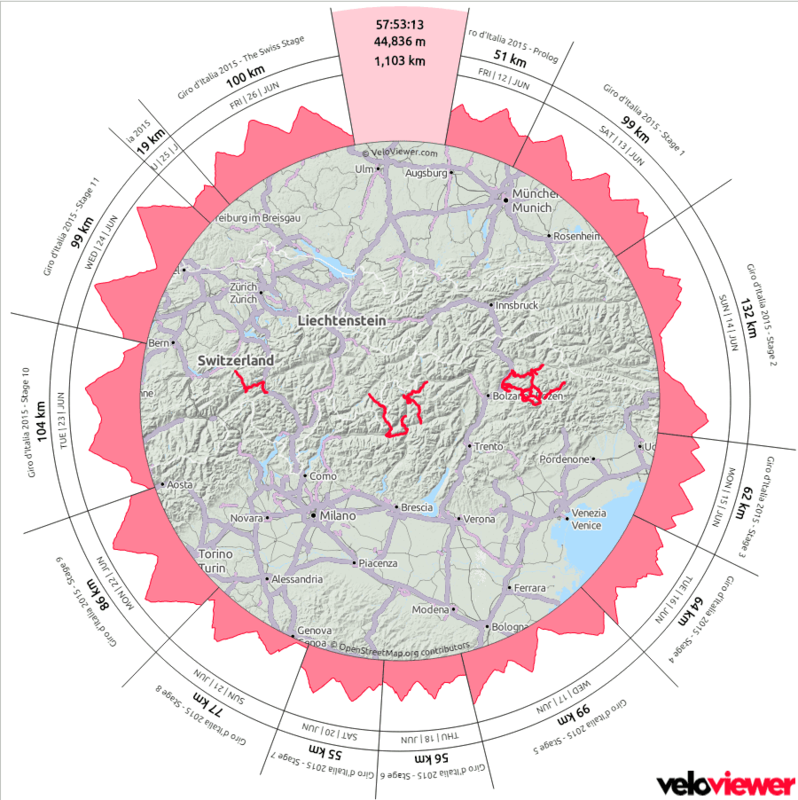 Cyclopaat constructed his own Giro d’Italia 2015 – on this page you find the links to the post stage reports of part 1, the stages from Corvara.